Crank the Badass Up to 11. Our newest art director Katie Steward has only been at Mortar a month, and she’s already showing us up in the BAMF department. 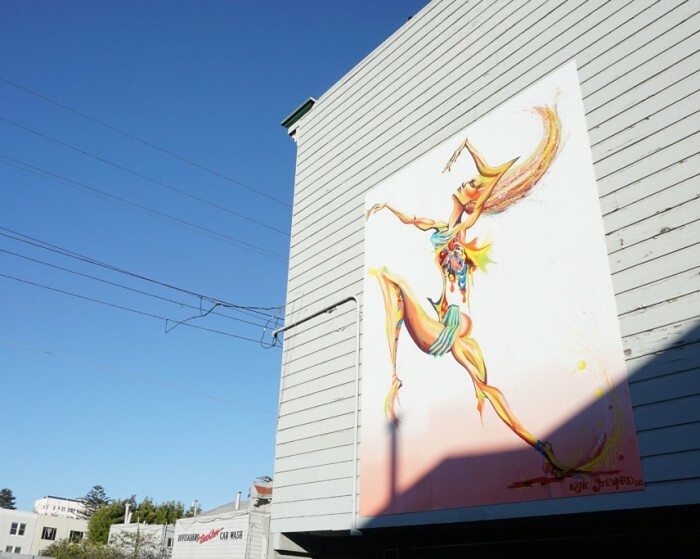 A mural she created just went up 1069 Oak Street, behind the Kelly-Moore Paints building at Oak and Divisadero. The colorful piece, which depicts a disfigured dancer, is meant to capture the way dancing can feel for the performer, rather than the audience. Yup, Katie’s also a dancer with 20 years of modern and ballet under her belt. Crank that badass to 12. Katie spent two months bringing the 12×16-foot mural to life in her garage before putting it on display. We gotta admit, it’s refreshing to hear about something other than a startup coming out of a garage these days. Read more about her sweet project here. 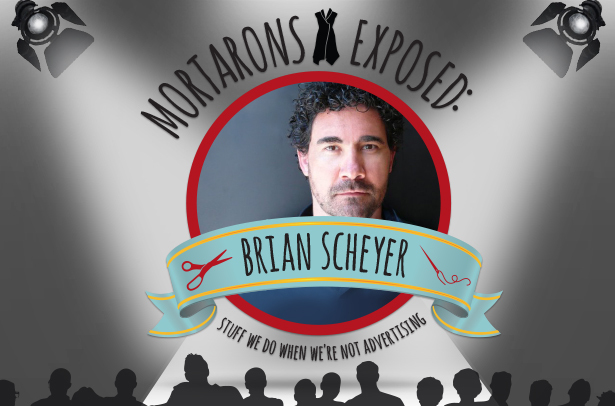 Brian Scheyer, Creative Director + The Man With a Thousand Secrets. Once in a while, a Mortaron comes along who blows us out of the water. One who’s weirder, braver, funnier, and has had more run-ins with the cops than all of us combined. Jojo Cheung, Interactive Producer + All-Around Badass. We don’t even know where to begin. Her real name is Josephine; we know her as Jojo. By day, she’s our whipsmart interactive producer whose precision puts Swiss watches to shame. By night, she’s a pool-shootin’, brick-breakin’, lion-paintin’ bundle of badasserie. 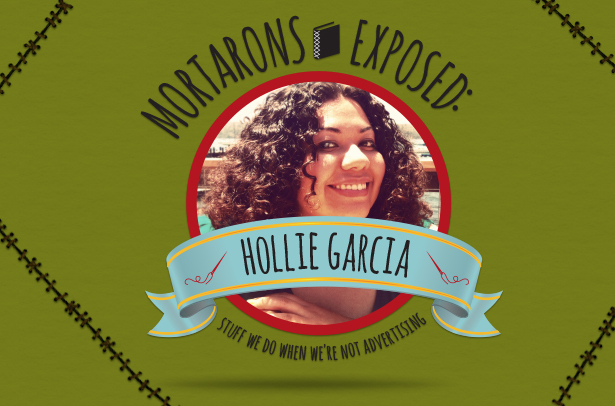 Hollie Garcia, Senior Graphic Designer + Future Etsy Shop Millionaire. 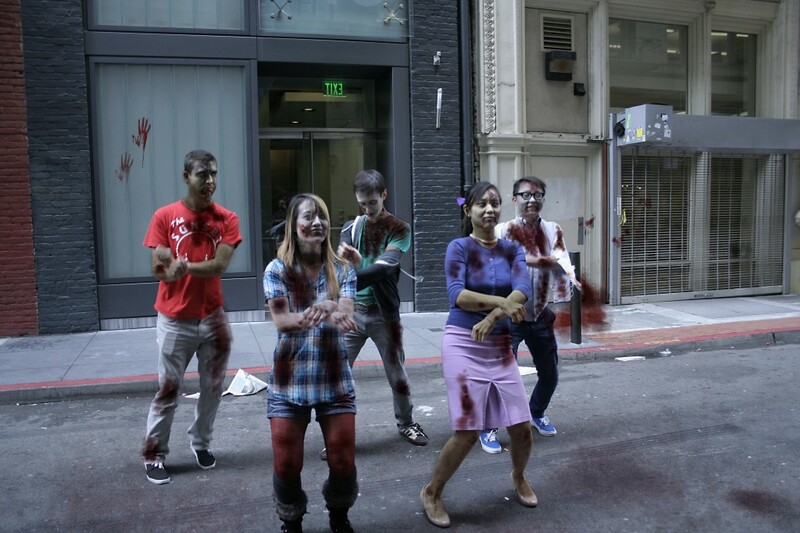 There’s a rumor going ‘round that Hollie Garcia, Senior Graphic Designer at Mortar, used makeup to transform her co-workers into zombies, and that Friday’s zombie outbreak at 25 Maiden Lane was staged. We’d like to clarify that this rumor is false. We saw those flesh-eaters with our own eyes and THEY WERE 100% REAL, BABY. Only REAL zombies can do the Gangnam Style. We understand, however, why such a rumor got started. Hollie does know how to do some scary realistic makeup effects. It’s just one of the many skills she’s picked up over the years.